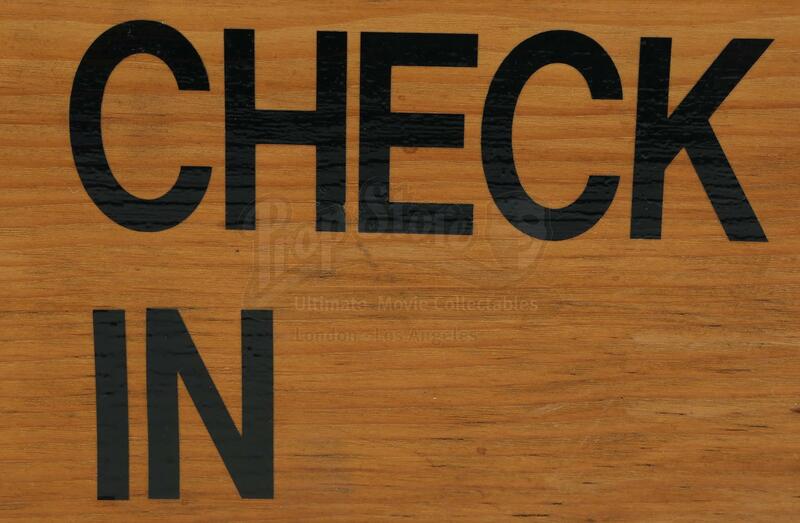 The Great Northern Hotel ‘CHECK IN’ sign from David Lynch and Mark Frost’s original 1990s surreal mystery series Twin Peaks. 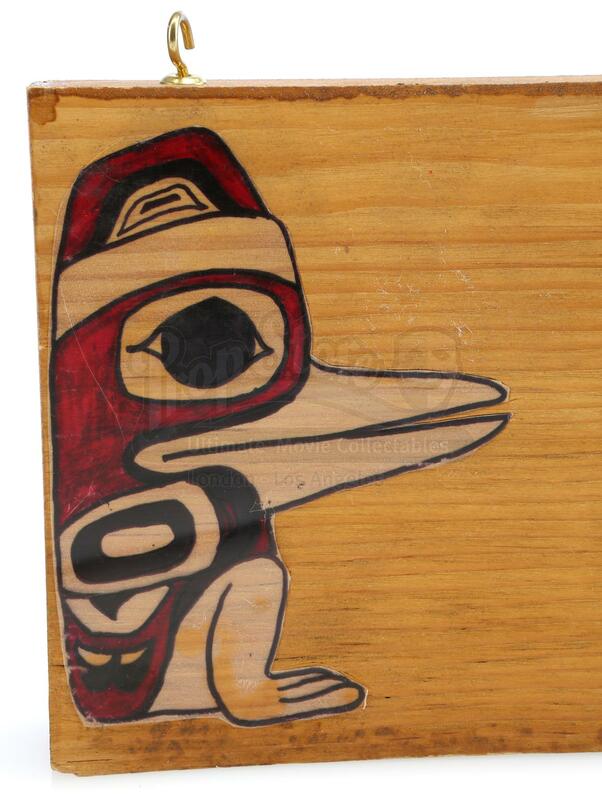 A raw-edge wooden plank with decals that read ‘CHECK IN’ in center along with an acetate Northwest Coast-style mythical creature seated on its side. Brass hanging hardware is affixed at top. 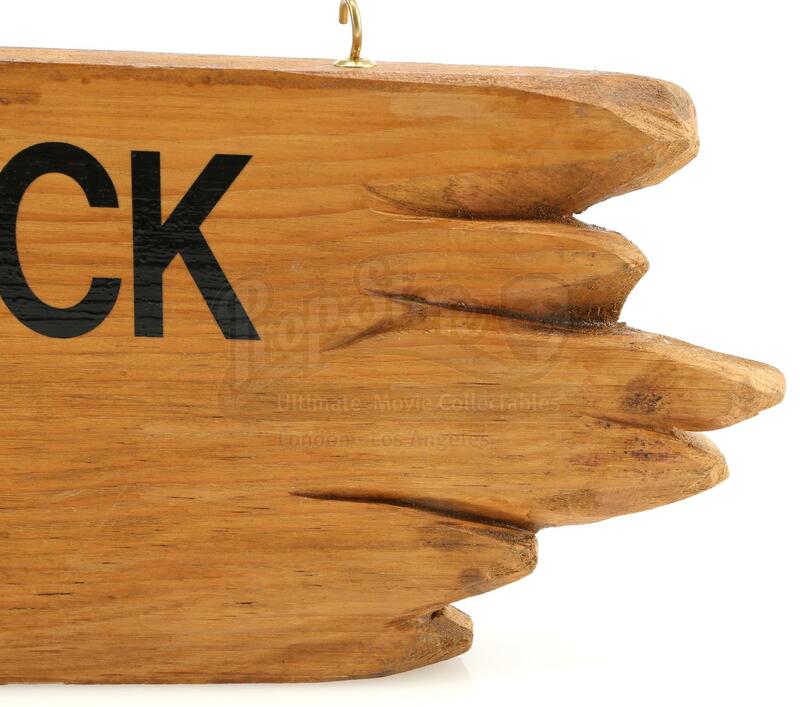 The sign was acquired from Lynch-Frost Productions, the company behind the series. Thereafter, it was stored in a light, climate and humidity-controlled fine art warehouse. As a result, it is in excellent, production-used condition overall. 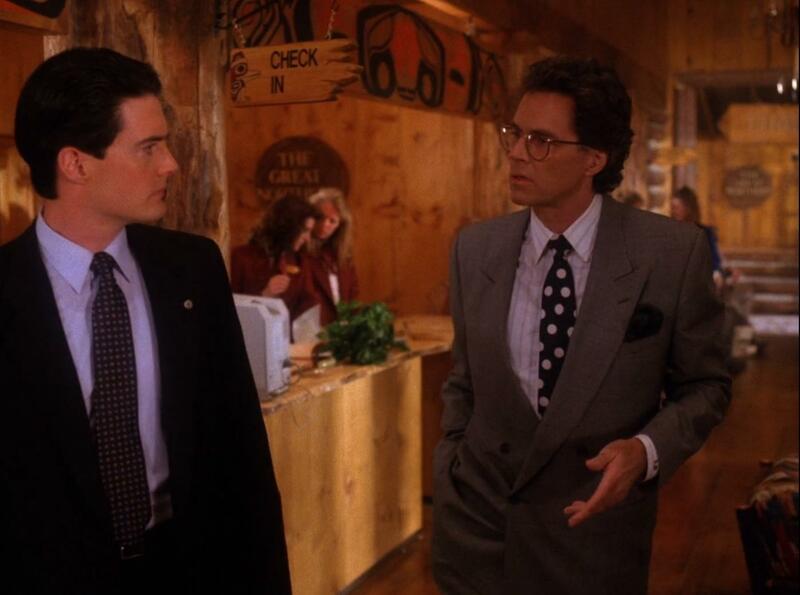 Owned by businessman Ben Horne (Richard Beymer), The Great Northern Hotel is the site of many of the series’ quintessential scenes, including the shooting of Special Agent Dale Cooper (Kyle MacLachlan). 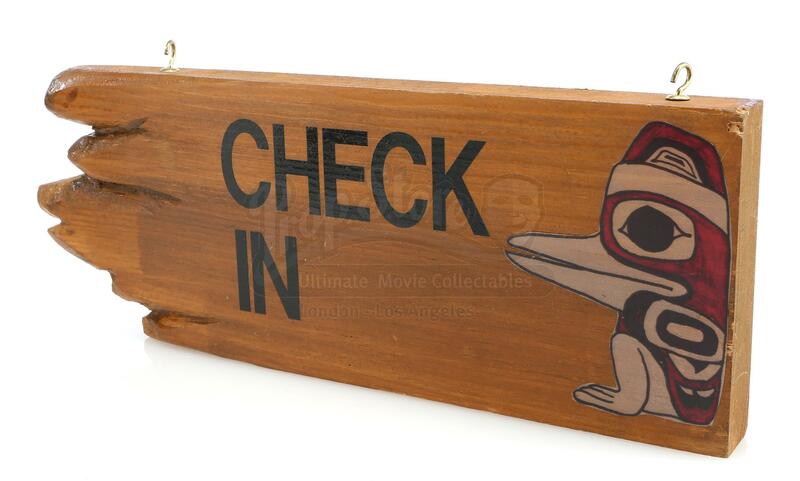 The Great Northern is Cooper’s home during his investigation into the death of Laura Palmer, and its sign appears in the lobby throughout the series.